Multifunctional tool that restores and nourishes the body. The extract from the noni fruit that is contained in these capsules is composed of a large number of biologically active substances, vitamins and minerals, as well as a significant amount of amino acids. Improves overall physical condition, strengthens the immune system of your body and helps keep your immune system in top shape, normalize cholesterol levels, improves the skin and hair. Restores cartilage, treats arthritis. When arthritis is best used in conjunction with balm. 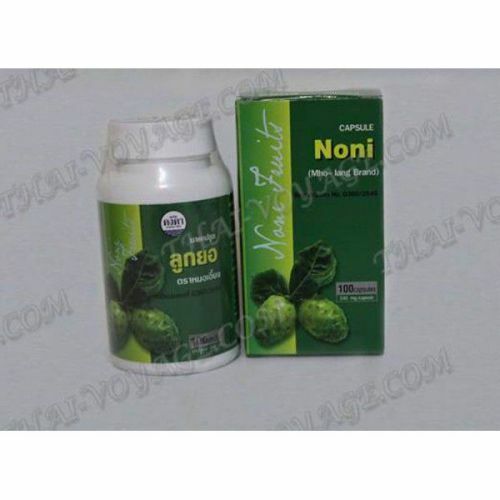 Capsules with an extract of noni fruit is a powerful antioxidant, which is able to slow down the aging process. It also prevents the development of tumors, including cancers. It normalizes blood pressure and improves sleep. It is used for chronic allergies and chronic fatigue. Also, these miraculous capsules normalize digestion, cure heart disease, arrhythmia, strengthen your heart. It used as an effective means for the prevention of cancer. Application: 1-2 capsules 3 times a day before meals. Ingredients: 100% natural extract from the fruit of the noni tree (Morinda Citrifolia), grown in ecologically clean regions of Thailand. 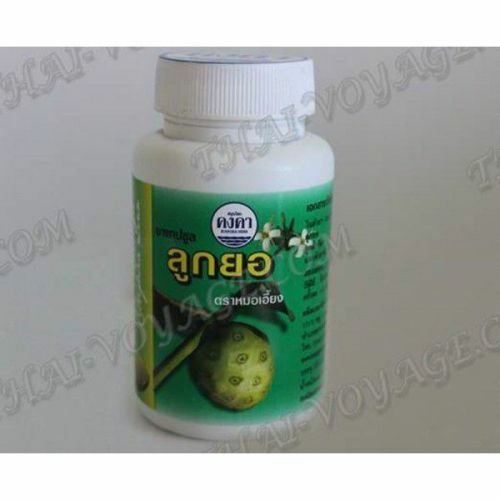 In package 100 capsules, 240 mg each noni extract.